Today we read about Thomas Vander Veen’s military activities in France and thoughts on the end of The Great War from November 11-12, 1918 along with Natalie Fulk’s comments and a summary of his life after the war. ● “We finally found our organization back again…in the woods in German barracks somewhere between St. Mihiel and Metn. We left Vertusey… at about 7:30 AM and were on the way hiking all day and it was getting dark when we got here. We marched slow this time and so it was not so very hard but our pack was getting pretty heavy on our back and shoulders. We were lucky we did not have our Lt. Col. to set the pace. We heard many rumors about the armistice being signed and the Frenchman we met all said too “le Guerre finis” but we could hardly believe it yet as we could hear the big guns still pounding away but we then were told they were to stop at 11 A.M. so we watched for it to stop at that time and they ceased firing too at two minutes to eleven we heard afterwards and the guns sure raised hell proper the last few minutes the barrage was the heaviest at the last moment when they all suddenly ceased. I did not have a watch myself going and the watches some of the other fellows had must have been a little fast as it was past eleven already and we still heard the barrage going worse than ever so we were still a little in doubt at first but we soon met more Americans telling us the fighting had ended. It sure made us feel good. Smiles on everybody’s face, the French not the least. This made our pack feel lighter too….after dark many bonfires and lots of cheering going on. Everybody happy in spite of being tired from hiking and more hiking to come probably at anytime too. But it may be quite a while yet before the final peace agreements are settled and we may have to go to the front yet or take positions at German forts and strongholds. ● Comments: Vander Veen and his companions from the leave found their company again and set out from the main division camp. The men had heard that the armistice was supposed to signed, but were confused by the fact that the barrages continued up until the last possible minute. However, after hearing that the war was actually over, everyone was happy. Vander Veen noted that the French soldiers were especially happy, which is understandable as they had been fighting for much longer than the American soldiers and were fighting in their own country. Even though the war was over, Vander Veen was realistic with his expectations of what the next step would be, because his predictions that they would have to go to the front or take positions were very possible. ● Comments: Vander Veen’s company officially received the armistice and its conditions on this day. This was Vander Veen’s last entry in his diary. Vander Veen’s account of the last months of the war are an insight into what a soldier on the front was doing, thinking, and feeling on a daily basis and provide a personal story for readers to connect with in trying to understand what World War I was like. When the war ended, Vander Veen decided to visit his parents and siblings in the Netherlands. He had not gotten permission for a military leave, but he thought, since the war had ended, he would go regardless. He got caught at the Belgium border. This could have been a Court Marshall offense, but since the war had ended and because of his accomplishments as a messenger during his tour of duty, they let the matter pass. He came back to the America after the war and worked as a common laborer for farmers. He would often travel across the country by train, traveling with the hobos because it didn’t cost anything. He would always search out and end up in Dutch communities. 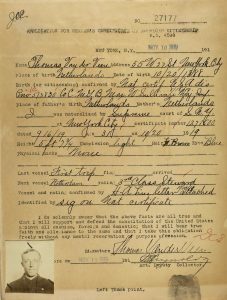 His brother Gus, a brother who had joined him prior to the war, returned to the Netherlands when the war broke out, served in the Dutch Army, married, had two small children and immigrated to the America in 1921. They settled in the small town of Thomson, Ill. along the Mississippi River near the city of Fulton, Ill. They farmed there for a number of years and they worked together. Between the late l920s and early 1930s little is known about Vander Veen. By 1934 he was living in the Delavan, Wisconsin area where both he and Gus were living. He owned a couple of small farms in that area of Wisconsin where he raised onions and potatoes, cucumbers, and sweet corn. 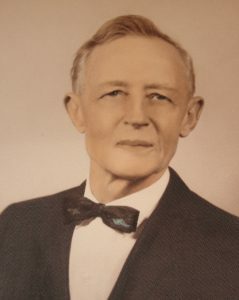 In the 1950’s, he married for the first time in his life and sold both farms and moved to Marissa, Illinois. There his wife Elsa passed away about 1956. He remained in Marrisa, Illinois till the late 1970s making frequent trips to the Delavan, Wisconsin area to visit relatives until passing away on May 29, 1980. He is interred in the Spring Grove Cemetery in Delavan, Wisconsin next to family.